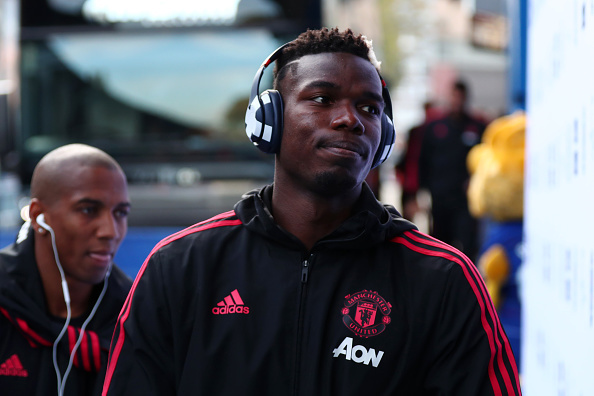 Paul Pogba has revealed he is set for an emotional reunion with Juventus in the Champions League as Manchester United welcome the Serie A champions on Tuesday at Old Trafford, which means Pogba will play the club he left in a then world record deal in 2016. Pogba started his career at Manchester United but initially didn't achieve a breakthrough at Old Trafford before rejoining the club after winning four trophy for Juventus. The French international, who has been linked with a return to Juventus following rumours over his relationship with Manchester United manager Jose Mourinho, has revealed he is settled in Manchester. "I have spoken to my brother about it, And we said: 'Can you imagine what it will be like if we are drawn in the same group as Juventus?' That is the way it is planned out and it is really special. "We have all been sending messages about seeing each other again. There are a lot of emotions involved because I began my first season in the professional game and scored my first goal at Juventus. "It is there that I developed as a player and so I have huge respect for the club. But am back home. I joined the youth academy here. I am at home here and it will always be that way. "The career I have had and now, with this return to Manchester, it is really splendid."